"[A] brilliant bolt from the blue. A pestilent persona, struck in the mint of French symbolism and surrealism, reflects Prufrock-like upon the arcade and arcadia of his poetic/historical existence." He followed that piece with works that were both Constructivist & Post-Contructivist, Modern & Postmodern. What's the aesthetic? 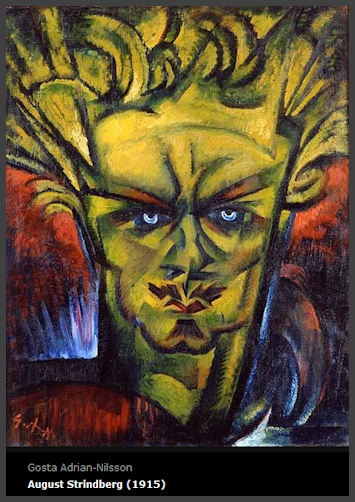 Strindberg on meth. I wanted to do a play which was not a literary, or armchair, play (you know, one just for reading). At the same time, I wanted to eliminate all the elephantine baggage of theatre: sets, characters, plot--everything traditional I could think of. In short, I wanted a new performable play, in which the question is: HOW to perform this? Not, CAN this be performed? I wanted to do this as a challenge after poetry. As you know, writers have tried to cross disciplines and they largely have been unsuccessful: Joyce, not a good poet, James and Eliot, not good playwrights, Strindberg, not a good novelist, and so on. You have NO idea how difficult this was and how long it took: well, until now! Above all, dialogue in any other form is not dialogue in drama. You can't simply pull dialogue out of a novel and put it on stage. Dialogue in drama is somewhere between a diagram and a score--very different. Try crossing this disciplinary boundary sometime--tres difficile!! So, the revolution referred to is one in drama. It's somewhere between Buchner's Danton's Death and Gogol's Inspector General. "John Ryskamp's brilliant bolt from the blue, "21st Century”. A pestilent persona, struck in the mint of French symbolism and surrealism, reflects Prufrock-like upon the arcade and arcadia of his poetic/historical existence"